A 1965 graduate of Washington State University, and a 1968 graduate of the University of Washington School of Law, Doug is a frequent contributor to local and national legal publications on the subject of DUI defense, is co-author of the textbook for lawyers, Defending DUIs in Washington (Lexis Law Publishing), wasregularly called upon to serve on legislative and other governmental task forces realated to DUI issues, has appeared on numerous local radio and television news programs and shows (KOMO's “Town Meeting,” and KIRO's “Dave Ross Show) and is regularly quoted in the local press. Doug has been named a state of Washington “Super Lawyer” by the publication “Washington Law & Politics” every year since 2000, was named by the same publication as one of Washington's “Top 25 Criminal Defense Lawyers” and has been listed in both Kingston's National Registry of Who's Who in America (2002 ed.) and Marquis' Who's Who in America (2002 ed.) 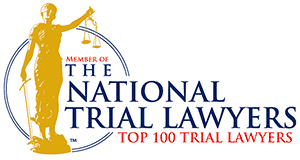 and has been given Martindale & Hubbell's highest Lawyer rating, AV, since the mid 1980's. With over 40 years of experience defending and prosecuting DUIs (Prosecuting Attorney for the City of Bellevue, Washington State's fourth largest city, 1974 – 1978) Doug helped establish an annual seminar on DUI Defense that regularly draws over 400 lawyers, making it the largest state DUI defense seminar in the country. A nationally recognized authority on DUI defense, Doug has lectured or conducted workshops for other lawyers in 19 states on such diverse topics as “Cross-examination of the Arresting Officer,” “Pre-trial Litigation,” “Opening Statements in a DUI Case,” “Jury Selection in DUI Cases,” “Opening Statements,” “The Data Master,” “Cross-examination of the State's Breath Test Expert,” “Bench Trials in DUI Cases,” “Legal Ethics in DUI Defense,” “Closing Arguments in DUI Cases,” and “Demonstrative Evidence in DUI Defense.” Doug received certification in administering Standardized Field Sobriety Tests in 1996, and again in 2001. An avid golfer, Doug is married and has three children and five grandchildren and one great grandchild. *The Supreme Court of Washington does not recognize certification of specialties in the practice of law, and certification is not a requirement to practice law in the state of Washington.